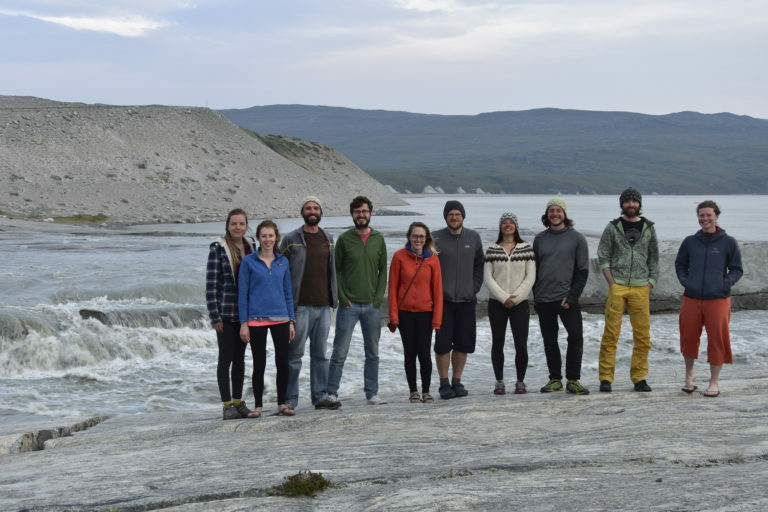 In June & July 2018 we teamed up with our old friends Jon Hawkings & Guillaume Lamarche-Gagnon from the University of Bristol and, together with another old friend Karen Cameron from Aberystwyth, Anne Kellerman from Florida, and two Bristol students formed an invincible research party in the famous resort town of Kangerlussuaq, West Greenland, to work on a project called, rather wittily, WhatTheFlux (WTF)! 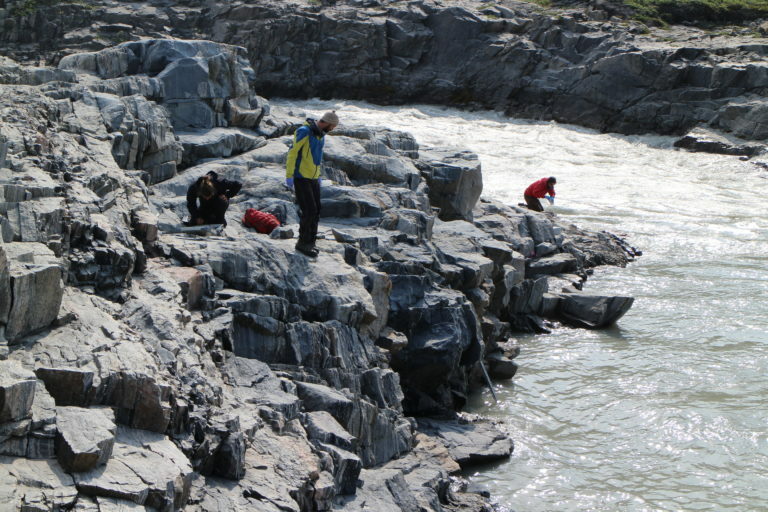 We split into three teams, each responsible for one glacial meltwater river in the area. Guillaume, Bristol PhD student Stefan Hofer, Petra, & Katka‘s student Marie Bulínová “chose” Camp Doom at the Leverett River (also our 2015 field site), Jon, Anne, and Tyler camped at the river draining the mighty Isunnguata Sermia in the north (Camp Gloom), and Karen, Bristol MSc student Amy Holt, and Marek stayed in Kangerlussuaq and drove daily to their site on the Russell River (Camp Vroom). Camp Doomers have just arrived at their new home for the summer. They will never see the Sikorsky helicopter again. 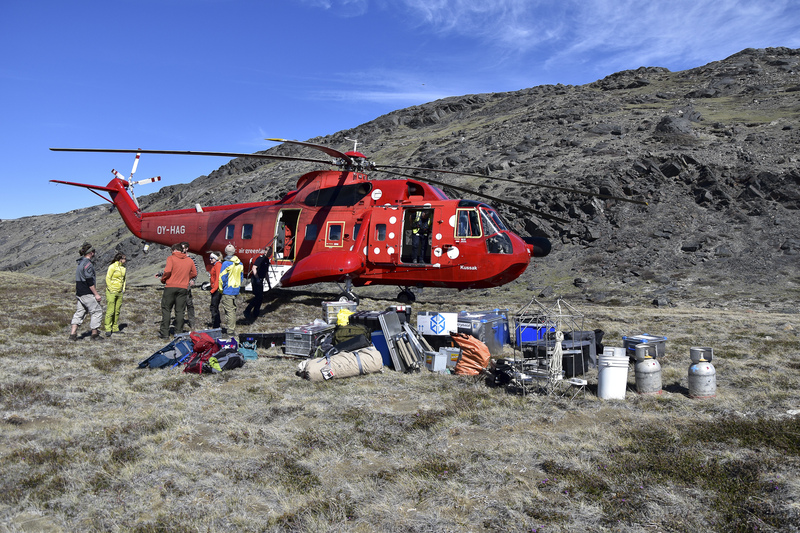 Every day, samples of meltwater were collected, filtered, and preserved for later analysis of chemistry and microbiology. Field measurements of river discharge, temperature, pH, and conductivity were done as well. As a result, we obtained a unique dataset of the fluxes from three W Greenland ice sheet catchments of different size (Isunnguata Sermia > Leverett Glacier > Russell Glacier). 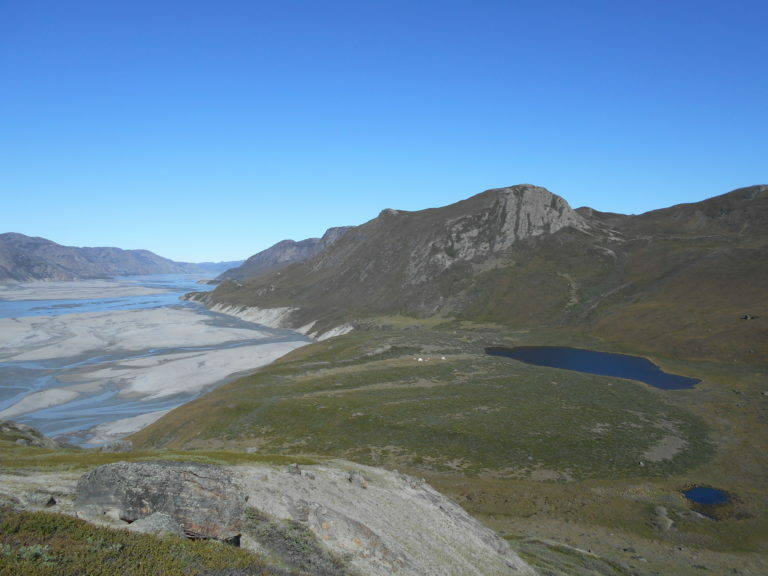 We at CryoEco will, as always, focus on the microbial assemblages exported from under the ice and on how the catchment size and dynamics affect the abundance and diversity of the microbes in the meltwaters. Petra also collected additional samples of Leverett subglacial sediment for laboratory experiments for our methane oxidation project. The beautiful (if a tad dusty & mosquitoey) Camp Gloom on the Isunnguata Sermia river. Due to the Inaarsuit iceberg incident, the big Sikorsky helicopter was not available to pick up the campers as planned, and a longer season was on the cards for a moment. However, everyone made it back eventually on a smaller helicopter, kindly provided by AirGreenland, and so we got reunited in Kangerlussuaq after more than 3 weeks of hard work and reasonable fun. Tyler & Marek on the last sampling day at the Russell River. 2018 field work is, therefore, done. What the flux?